Step Bolts, similar to a carriage bolt in bearing surface and square-neck design, but with a wider, lower-profile, round head. 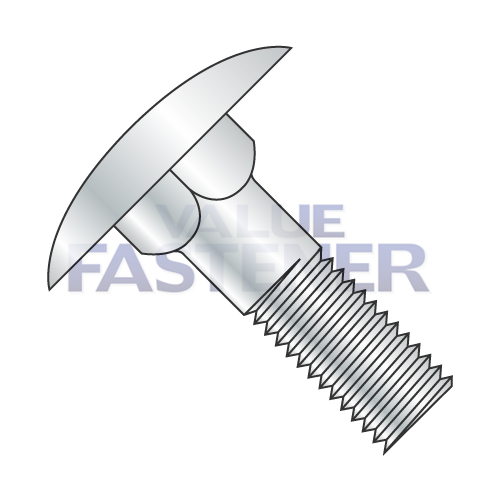 Applications/ Advantages Step bolts are preferred for use where wood is bolted down as decking--the larger diameter head of the step bolt will not pull through the soft wood. Smooth, low, rounded head permits unrestricted movement over the surface.